August 2014 – Welcome Back! Welcome back! I certainly hope that summer has treated you well and that you and your family have gotten the downtime each of you deserve. While summer always seems to fly by, I have to admit that by the time August arrives, I begin to get that urge…that desire to get back in my routine and greet a new year of learning and fun head on. To me, that may be one of the best things about having a career in education – the perpetual beginnings each August grants us. So as we start this new year, I extend a warm welcome to each of you. Each summer, I make it a point to sit and reflect on my craft and determine areas for my professional (and personal) growth. This year, I would like to focus on developing closer ties with each of you – the parents. One way that I plan to accomplish this goal is through a publishing a monthly newsletter in which I share pertinent information about what is going on within our middle school community. This publication will also contain articles relevant to the middle school aged child and/or various topics in education. These articles will then serve as the springboard for a monthly “Principal/Parent Coffee” I will hold in tandem with the guidance counselors. The format will be very similar to Parent Advisory, but we will focus on issues specific to middle school instead. More information to come soon, so stay tuned! I am hopeful that these tweaks will improve our existing program and will ultimately strengthen our home-school connection as we work together to create an inclusive community of learning. I look forward to getting to know you better in the weeks and months to come! Please know that I am a huge advocate of keeping the lines of communication open, so I encourage you to reach out to teachers or myself if you ever have any concerns or questions. We are here to work with you to ensure the success of your child, and it means a great deal to us when parents stay involved and work closely with teachers and administrators to accomplish our goals. In closing, I just want to thank you for sharing your wonderful children with us. They truly are incredible young people, and it is an honor and privilege to be a part of their daily lives. 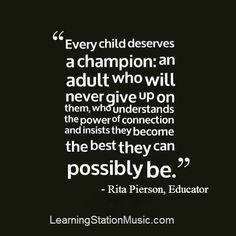 Here’s to a great 2014-2015 school year! Remind your child that MS students may not store book bags in the bathroom. This is VERY important so I appreciate you repeating this at home. If a student choses to break this rule, parents will be contacted and consequences will be enforced. This year we are taking a school-wide approach to management of student behavior. All teachers are enforcing these same rules and consequences. 2) Keep hands and objects to yourself. Obviously in extreme situations, consequences will not necessarily be tiered, and administration will be involved immediately. At any rate, please remember that at CSD, we view mistakes as opportunities to learn and grow, and we never want our approach to discipline to be reduced to a list of infractions and punishments. Our goal is to get to the root of the student misbehavior and empower kids with self-awareness, empathy, forgiveness, and compassion so they can evolve into the extraordinary people they were born to be. We like to think of middle schoolers as “adults in training,” and the word training implies that they don’t have all of the answers. It is safe to say that kids will make mistakes as they learn to navigate social and academic situations at a more independent level. They need us, as parents, teachers, and inspired mentors, to work together and guide them when they stumble. Parents, we consider you our valued partners, so we want to thank you, in advance, for your cooperation and support. Parents and Teacher Appreciation Committee Members, thank you for the yummy breakfast treats you provided earlier in the week! This token of appreciation came at exactly the right time and made us feel very loved. We are humbled by your kindness. This entry was posted in Middle School by Leslie Tomko, Marianne Coale, and Juli Gardner. Bookmark the permalink.